The attractive pistol belt is offered in black color. 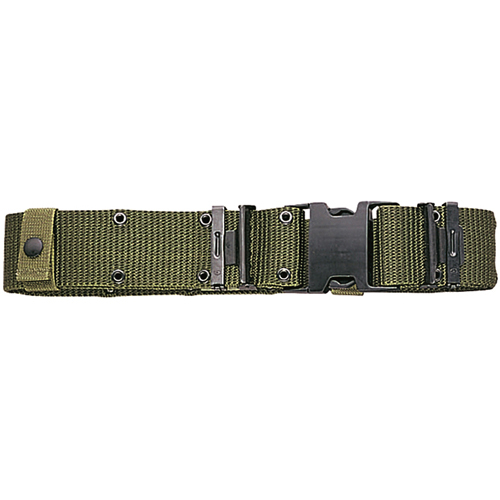 This new issue nylon belt comes loaded with a lot of functional features. 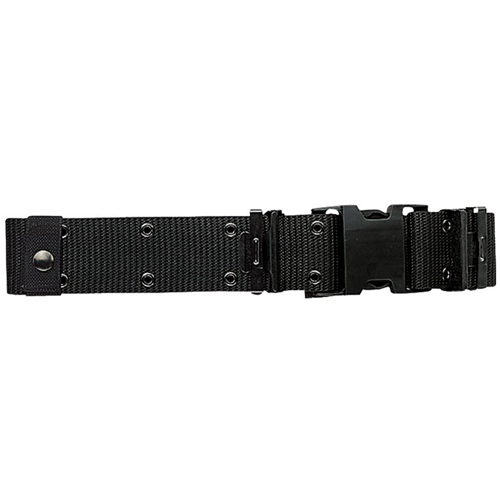 Apart from a high quality metal buckle, the belt features metal ends that prevents fraying. Another attractive feature includes the two pockets that can be clipped on to the sides if necessary. These pockets also come in the adjustable version. This pistol belt helps hold the pistol securely in place and is ideal to be carried around by security and military personnel and by the police. The metal ends and high quality materials used make this belt last for a long time.